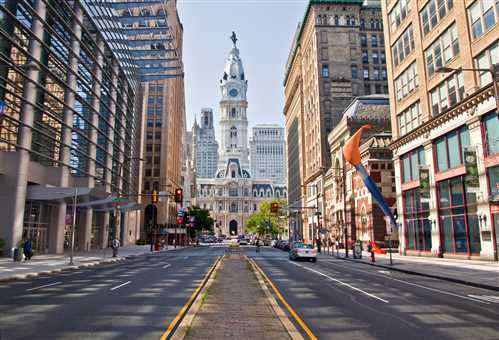 VISIT PHILADELPHIA builds Philadelphia’s economy and image through destination marketing that increases the number of visitors, the number of nights they stay and the number of things they do. Specifically, our focus is on engaging with leisure travelers—those who are interested in visiting Philadelphia for fun. Over the years, we’ve worked to convert consumer tradeshow/meeting attendees into leisure guests by inviting them to come early, stay late and come back. That was done by focusing on building awareness. But this year, we tried something new: Through a $75,000 investment from the Pennsylvania Convention Center (PCC)—which we matched—we developed a new retargeting marketing pilot program that focused on engagement. The program allowed us to use new technology, pinpoint interests, geofence specific areas, retarget device IDs and access new data sources to engage with visitors. Our target audience was anyone whose interests aligned with the PCC tradeshows/events in the Mid-Atlantic region and attendees of large citywide events. More than 1.6 million people attended 33 tradeshows/meetings at the PCC and nine citywide events in 2017. Our social media and advertising teams worked to build audiences interested in specific activities represented on the PCC events calendar. Then, through social media posts and online advertisements, they targeted these potential attendees and invited them to tradeshows. We worked with the PCC to identify high-yield tradeshows and meetings and the expected number of attendees for each event, so we could determine the size of the audience we would engage with. With geofencing, we engaged with them while they were here to encourage them to do more. And, perhaps most importantly, we determined who came to tradeshows and retargeted them via Facebook and use device IDs captured through paid media to invite visitors to come back and sleep over. Finally, our research team surveyed attendees of one tradeshow to find out what else people were doing while they were visiting, where they were staying and how they would rate their experiences both in Philadelphia and at the event. We achieved all our goals for this campaign: •	We invited potential visitors to 33 tradeshows/meetings and identified 1.6 million visitors to distribute social and paid media ads to while they were visiting. •	We crafted more than 20 pieces of content to convey all the reasons to come early, do more, come back and sleep over in Philadelphia. •	We captured more than 1.6 million device IDs to invite visitors back. Ultimately, the project drove 1,265 leisure-driven overnight hotel stays.